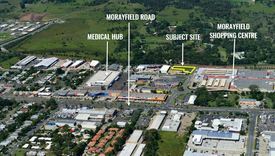 30 Commercial Real Estate & Properties in Morayfield are listed in 6 categories. We have 16 Development LandsSale , 6 Retail ShopsSale , 5 Industrial Warehouses Sale , 4 OfficesSale , 3 ShowroomsSale and 1 Other Commercial PropertiesSale . 4/64 William Berry Drive, Morayfield is ideally situated between busy Morayfield Shopping Centre brand new state of the art Morayfield Medical Hub. This site suits any professional office or medical consultation user looking to take advantage of the high exposure and signage opportunity to passing traffic. Features: 408m2 Office Space with Ducted Air conditioning Large Open Plan Layout with Multiple Private Offices Throughout Interal Amenities with Showers Toilets Fully Fit Out Reception with Waiting Area Large On Site Car Park Signage Opportunity Short walk to public transport For further information or to arrange an inspection, please contact Chris Massie or Aaron Canavan. 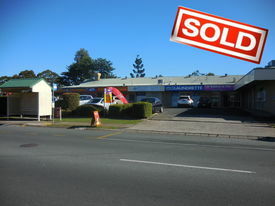 Ray White Commercial North Coast Central is please to offer 4/30 36 Dickson Road, Morayfield for Sale. 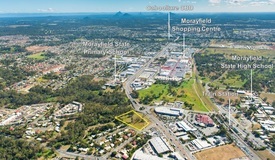 The opportunity presents itself to position your business in one of the fastest growing suburbs in Northern Brisbane. This complex is situated near Aldi supermarket, Woolworths and the Morayfield Shopping centre making it an ideal location for any user. Features: 283m2 industrial warehouse 35m2 mezzanine office space + ground floor reception Excellent on site car parking Internal toilets Container height roller doors 3 phase power Easily accessible from Dickson Road 50kms to Brisbane CBD 45kms to Brisbane Domestic International Airport Short distance to access Bruce Highway For more information or to book an inspection please contact agents Aaron Canavan or Chris Massie. 10,010 m2 allotment (1 hectare) DA approved for 160 place child care Clear, level block Immediate access to services Existing 4 bedroom dwelling, granny flat 3 bay shed on site Snap up this child care DA approved site adjoining major residential developments in Morayfield. Save on development costs with a clear, level block with some planning work already completed for you! Call The Commercial Guys today to book your inspection or for further information. Ray White Commercial North Coast Central is pleased to offer 179 Oakey Flat Road, Morayfield for Sale. This flat, level parcel adjoining major residential development is in the heart of one of the fastest growing regions in the country and boast all the features of a highly sought after flexible development project. Key Features: 1ha clear, level corner block Large existing residence Development Approval for 160 place child care plus additional after school care Significant planning works completed available to purchaser Immediate access to services Flexible Emerging Community zoning For further information or to arrange an inspection please contact Chris Massie or Ashley Rees. 1.925 Hectare residential land Lapsed DA for multiple dwelling retirement village Level block ready to build 1.4 km to Morayfield Railway 600 m to nearest bus stop 1.6 km to Morayfield Shopping Centre Located beside Morayfield Sports Events Centre Located centrally in Morayfield and positioned between a mix of residential, recreation and retail and only minutes to Morayfield Station. Call The Exclusive Commercial Guys today to book your inspection or for further information. Ray White Commercial North Coast Central is pleased to offer 45 Trafalgar Drive, Morayfield for Sale. Features: 2ha Land Rural Residential Zoned Development Opportunity Property features residential dwelling horse race track 600m from Bruce Highway Close proximity to Morayfield Caboolture CBD For more information please contact Chris Massie. 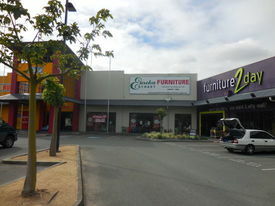 2,658m2 land within the heart of the retail shopping precinct of Morayfield Premium location adjacent to Morayfield Shopping Centre Property adjoins neighboring tenant Cash Converters among additional retailers such as ALDI Supermarket Excellent exposure site Suits developers of retail/bulky goods potentially Child Care For further information contact Chris Massie any time. 100% Tenanted Investment suite located in central Morayfield with frontage to Morayfield Road. Tenant Information: Tenant 1 Queensland Government Income $47,662 pa Term 4 years commence 1st December 2017 Option 2 x 2 years Tenant 2 Certus Group, Accountants Income $50,508 Term 3 years commence 1st October 2017 Option 2 x 3 years Certus Group have been a tenant since October 2013. Building Information: 343 m2 commercial office split into 2 levels Ground level 156 m2 First floor 187 m2 Professional glass entrance Busy Morayfield Rd frontage Call The Exclusive Commercial Guys today to book your inspection or for further information. 20,100 m2 (2.01 HA) land development site next to Bruce Highway Another 3 titles available up to 84,500m2 Next door to the up and coming North Ease Business Park and North East Harbour 4.6 km to Morayfield Shopping Centre 3.5 km to Morayfield Train Station Call The Commercial Guys today to book your inspection or for further information. Unless otherwise stated, the price/property may be subject to GST. Ray White Commercial Northern Corridor Group is pleased to offer 9/30 36 Dickson Road, Morayfield for Sale. 251m2 warehouse/office opportunity Air conditioning throughout office Reception area Internal amenities Tenant pays 100% of outgoings Holding income $2,000 p/m net Great access with ample onsite car parking Electric roller door Located opposite the new medical precinct, nearby Aldi supermarket, Woolworths, Pitstop Auto and Trade Centre and the Morayfield Shopping centre, making it a central and busy location for any business. Contact Exclusive Agents Aaron Canavan or Chris Massie for further information. Major Corner Site Opposite Bunnings Expressions Of Interest C..
Ray White Commercial Northern Corridor Group is pleased to offer 20 Oakey Flat Road, Morayfield for Sale via Expressions of Interest. This high profile freehold property provides the perfect balance of immediate function and long term development upside. Benefit from the ongoing expansion of the Caboolture West masterplanned are that will see a projected 63,000 new residents move to the area. FEATURES: bull; 1,385m2 freehold lot bull; Flexible "Next Generation Neighbourhood" zoning bull; Residence with two street frontage bull; 5 bay shed bull; On major growth arterial servicing future expansion area Expressions of Interest closing 17 May 2019. For further information or to arrange an inspection, please contact Chris Massie. Ray White Commercial North Coast Central in conjunction with Colliers International are pleased to present North East Business Park, Nolan Drive, Morayfield. North East Business Park (NEBP) will be a vibrant employment hub offering an outstanding environment for businesses and employees. The master planned estate is strategically located in Morayfield, in the heart of the Moreton Bay Region, only 45km north of the Brisbane CBD with direct access to nationally and internationally recognised export infrastructure. This includes the M1/Bruce Highway, the Port of Brisbane, Australia TradeCoast and Brisbane Domestic and International Airport; with no traffic lights between NEBP and Brisbane Airport. The location enables businesses to access both national and international markets with ease, and offers a huge range of benefits for companies looking to be located in Brisbane's northern growth corridor. NEBP is suited to a range of industries including manufacturing, processing, storage, warehousing, logistics, corporate offices, bulky goods, and retail to name a few. In our opinion the estate offers unrivalled opportunities including: Land from 2,000sqm to 10ha+ Level blocks Flexible zoning allowing for 24/7 operations Complete solutions from land to turnkey buildings Outstanding access to major transport corridors Proximity to rapidly expanding population centres The largest major industrial land release in this precinct for more than 10 years On behalf of the developers, Ray White Commercial North Coast Central and Colliers International highly recommend your consideration of North East Business Park, Nolan Drive, Morayfield. We would welcome the opportunity of discussing how we can meet your needs at this outstanding new location. North East Business Park (NEBP) will be a vibrant employment hub offering an outstanding environment for businesses and employees. The master planned estate is strategically located in Morayfield, in the heart of the Moreton Bay Region, only 45km north of the Brisbane CBD with direct access to nationally and internationally recognised export infrastructure. This includes the M1/Bruce Highway, the Port of Brisbane, Australia TradeCoast and Brisbane Domestic and International Airport; with no traffic lights between NEBP and Brisbane Airport. The location enables businesses to access both national and international markets with ease, and offers a huge range of benefits for companies looking to be located in Brisbanes northern growth corridor. NEBP is suited to a range of industries including manufacturing, processing, storage, warehousing, logistics, corporate offices, bulky goods, and retail to name a few. In our opinion the estate offers unrivalled opportunities including: 2,000m2 Level block Flexible zoning allowing for 24/7 operations Complete solutions from land to turnkey buildings Outstanding access to major transport corridors Proximity to rapidly expanding population centres The largest major industrial land release in this precinct for more than 10 years We would welcome the opportunity of discussing how we can meet your needs at this outstanding new location. North East Business Park (NEBP) will be a vibrant employment hub offering an outstanding environment for businesses and employees. The master planned estate is strategically located in Morayfield, in the heart of the Moreton Bay Region, only 45km north of the Brisbane CBD with direct access to nationally and internationally recognised export infrastructure. This includes the M1/Bruce Highway, the Port of Brisbane, Australia TradeCoast and Brisbane Domestic and International Airport; with no traffic lights between NEBP and Brisbane Airport. The location enables businesses to access both national and international markets with ease, and offers a huge range of benefits for companies looking to be located in Brisbanes northern growth corridor. NEBP is suited to a range of industries including manufacturing, processing, storage, warehousing, logistics, corporate offices, bulky goods, and retail to name a few. In our opinion the estate offers unrivalled opportunities including: 2,500m2 Level block Flexible zoning allowing for 24/7 operations Complete solutions from land to turnkey buildings Outstanding access to major transport corridors Proximity to rapidly expanding population centres The largest major industrial land release in this precinct for more than 10 years We would welcome the opportunity of discussing how we can meet your needs at this outstanding new location. 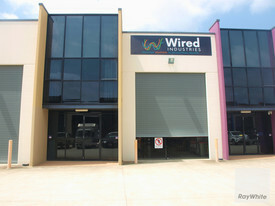 Located in the busy Mega Centre Excellent main road exposure along Morayfield Road Automatic sliding front doors 4.3m high ceilings Stamped concrete floor Ample on site parking Air conditioning Provision for good signage Suspended ceiling Rear Storeroom 2 rear Roller doors for loading 1020 m2 approx Possibility of splitting into smaller tenancies For further information or to arrange inspection please contact Darren McArthur.